RICE FOR ROHINGYA is an ongoing project specifically to provide as many starving Rohingya refugees with a basic meal for a year. Many people arrive hungry, exhausted and with no food or water. Huddled under shelters of bamboo and plastic sheets beside them, they don’t know where their next meal will come from. Colours of Hope with Lonely Orphans welcome you to our RICE FOR ROHINGYA project. Lonely Orphans, a registered UK charity organisation have been working with displaced Rohingya who managed to escape the conflict, and who are dependant on our aid, particularly the vulnerable orphans and widows. Sponsor a minimum of 5kg of rice per month by donating just R50/month or R600/year for 60kg rice per year. We need as many people to join this (monthly donation) project. Invite your family and friends to donate to this worthy cause. Lonely Orphans is on the ground and will oversee the monthly feeding scheme. There is no limit to the maximum amount as long as the donation is monthly (even if it is paid in lump sum). Let us not be of those who are over indulging and eating too much while others starve. 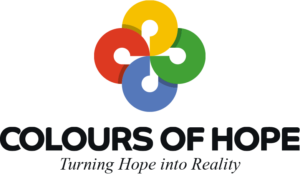 Speak to your Colours Of Hope Representative in your area to find out how you can join and make a difference! Below is a list of reprisentitives throughout South Africa. Please contact the relevant volunteer to donate. SHARING IS CARING. Simply click on a social media icon of your choice to share this project.